Julie Condon, L. Ac., formerly at WLHC with Seacoast Acupuncture, has founded Dover Community Acupuncture. 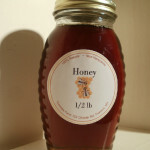 Non-pasteurized, all natural Honey and pure New Hampshire Maple Syrup, on sale now at WLHC. 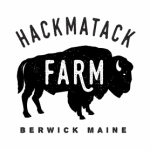 The Bison Project sells all natural, USDA certified, 100% grass fed bison meat. The meat has no trace glutens, is low in cholesterol and high in vitamin D, iron and omega 3s.